Are you ready to scream and panic while trying to look like your calm so the monsters wont come towards YOU!? 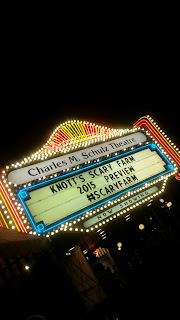 Knott's Scary Farm announcements were made last night and with that we know this year will bring the fear out in anyone who attends. 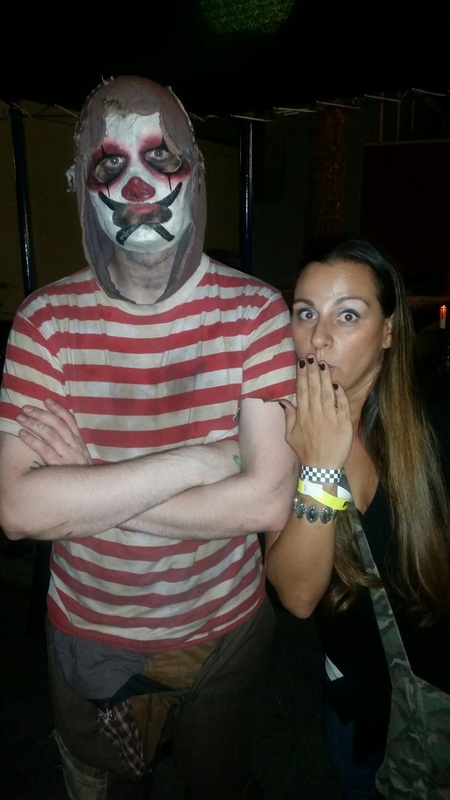 It's been a few years since the hubs and I attended Scary Farm for Scion nights, and this is the year I would not want to miss it. Not taking him home to mama... Hold Me! With 11 mazes, over 1000 monsters, 3 insane scare zones, 2 intense stage shows and 13 thrill rides, this years Scary Farm is going to be amazingly frightful! I got all the details of the past haunts, the new terrors and the secret skeleton rooms last night and here are the deets! * Scary Farm will run from September 24th to October 31st and tickets are on sale now! Buy them on line here. IF you are a Knott's season pass holder you can purchase all 24 nights of the Haunt for $70 ($80 after September 20th) and you can add parking to the pass. If your season pass includes parking, you just scored parking for Scary Farm too. So cool! * Stage Shows - Back by popular demand (and my all time favorite) Elvira in "Elvira's Asylum" and of course the can't miss stage show "The Hanging - Straight Out of Calico", where the guests can get involved by ranking the show. * Scare Zones - Take a stroll through Carneviel, Fiesta de los Muertos or Ghost Town and keep an eye out for the newest edition to the screams.... "the Doll Maker", an old familiar face from Haunts past.. try and find him or do you dare?! * Mazes - the favorites of the past haunts will all be there. - Pinocchio Unstrung with a skeleton key room but be aware of the young lad looking for skin to become a real boy. - Black Magic where Houdini reeks havoc with a creepy skeleton key room. - Trick or Treat an all time favorite. Are you ready to ring the bell of this witches' house and enter her potion room or bewitched attic!? Be aware, she haunts everyone! - Forevermore be aware of the killer and enter this skeleton key room with caution. - Voo Doo Order of the Serpent where there is major conjuring of a demon goddess that protects her skeleton key room with might and frights. - Special Ops Infected Patient Zero is back and needs all of our help to capture their patient who has escaped and is infecting everyone all over again. This year you are in this real life zombie video game with a new gun, lots of headshots to hit and a health meter that will require you to be on your ball to get out of there in one piece... "on the battlefield- headshots ONLY" creator of Special Ops. - Gunslingers Grave, BloodMoon Rises, is the 1st western themed maze and it's going supernatural this year! Oh my la Llorona is looking for her Ninos... do you have them!? - The Dead of Winter where you will enter an icy land that is reigned with a beyond evil Snow Queen. With bright lights and Dark darks this is one maze that with the skeleton key will have everyone shivering with fear. - My Bloody Clementine is the story of a sweet little girl that came to Calico and settled in the mines around 1885. Unfortunately the story tells that they were both gruesomely killed in the mine and have haunted it for years. Sad thing is, as the years pass, the haunts get worse and worse, scarier and scarier. 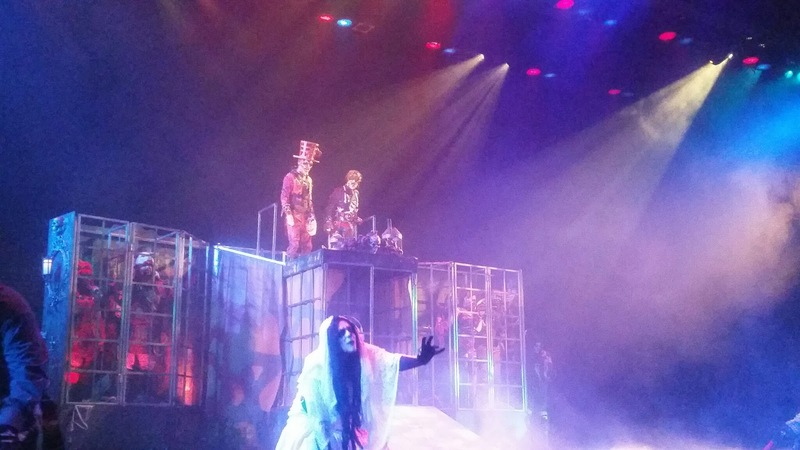 With new tech, video and audio this years Calico Mine Ride brings an innocent ghost to a creepy demon. This year watch out, there are monsters, everywhere to haunt you! 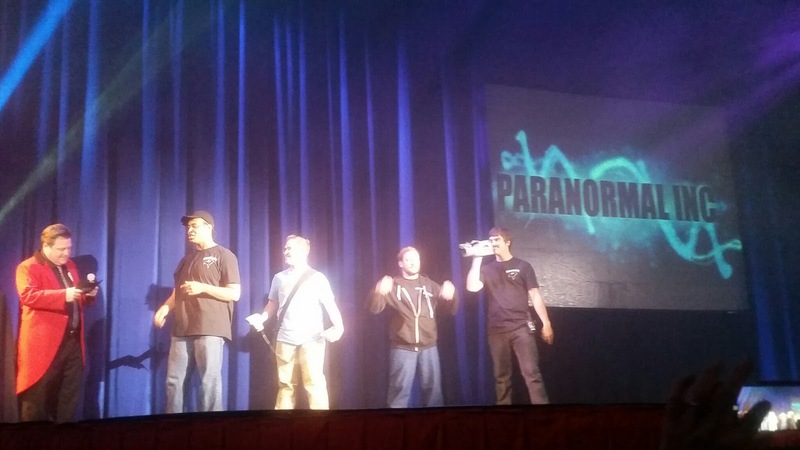 - Paranormal Inc. Here you will join the cast of TV's "Ghost Catchers" and investigate the haunts of the asylum at Hayden Hill. Brace yourself for this very interactive maze. As if this was not enough to keep you in tears and fears, Scary Farm is never complete with out the Green Witch and her 7 deadly sins of scare! 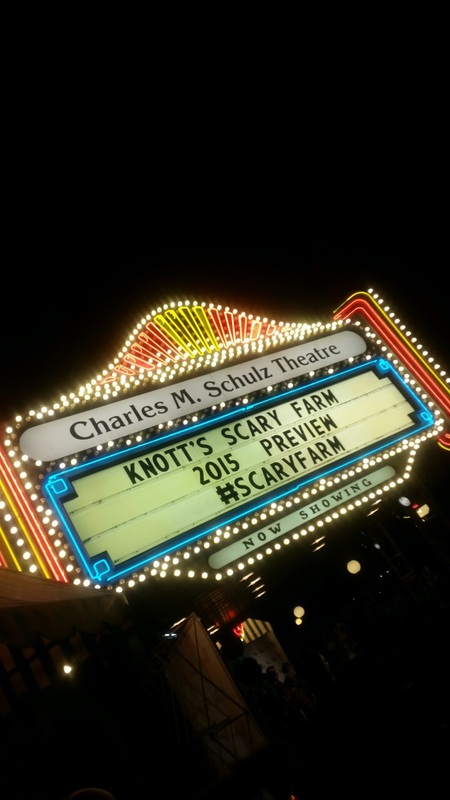 You can get even more details here, at Knott's Scary Farm and purchase tickets NOW! Pricing starts at just $39.99. Follow along with all the frights of this years haunt on social media - Scary Farm Facebook Scary Farm Instagram and Scary Farm Twitter and follow me too as I bring you more details as we get closer to the frightful fun. Have a little one that isn't quite ready for Scary Farm just yet... check out the fun that you can have as a family attending Spooky Farm.